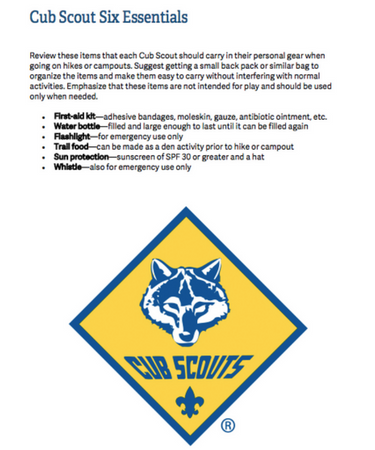 This Printable PDF will help both scouts and leaders learn the six essentials for cub scouts. These items should be reviewed often. It is suggested to have the scouts carry these items in a small back back.